Antique style love heart necklace with a secret, a working compass set into the back. 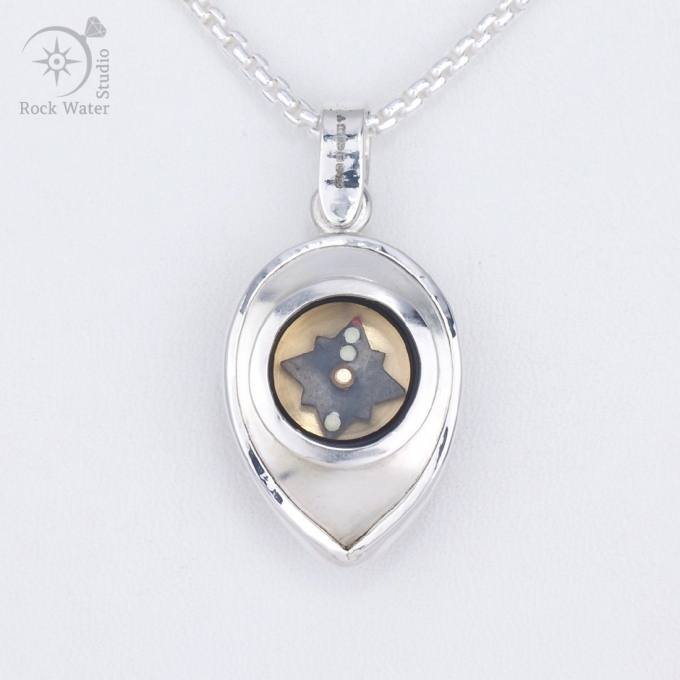 Handmade in silver with an antique style finish around an 18k gold heart, this unique compass necklace gift holds a button compass. It’s a top quality compass that works and is always ready for when you need to find your way home safely. A Love Heart Necklace gift for someone very special. 18 inch (46cm) luxury silver box chain, 18 inch (46cm) silver curb chain, 27 inch (68cm) luxury silver box chain, 27 inch (68cm) silver curb chain, No chain.